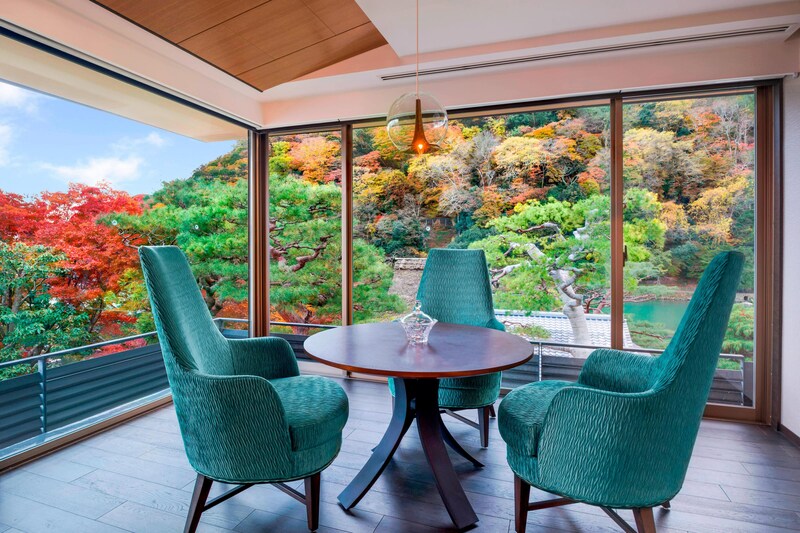 With an intimate collection of 39 guestrooms, including 6 specialty rooms, this retreat is inspired by traditional Japanese touches and culture offering a truly enriching and indigenous experience. 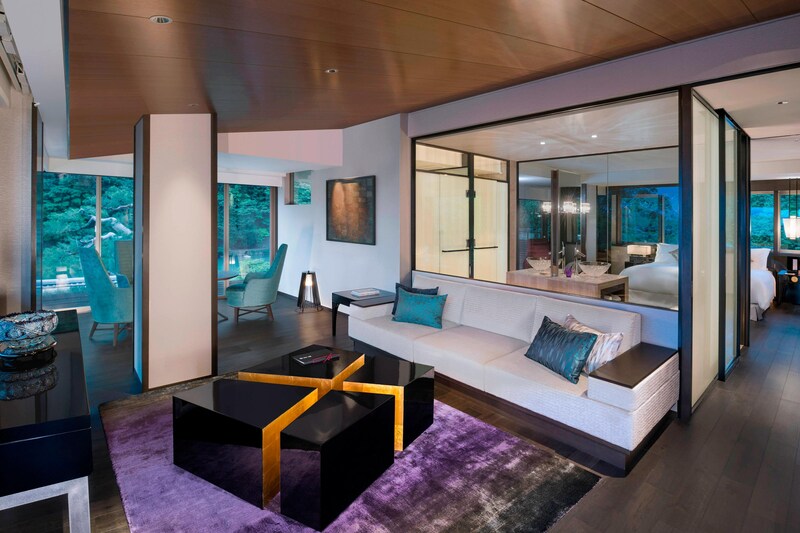 Dark colored floor, jade-green colored chairs, black and golden colored unique coffee tables are specially designed for the room. 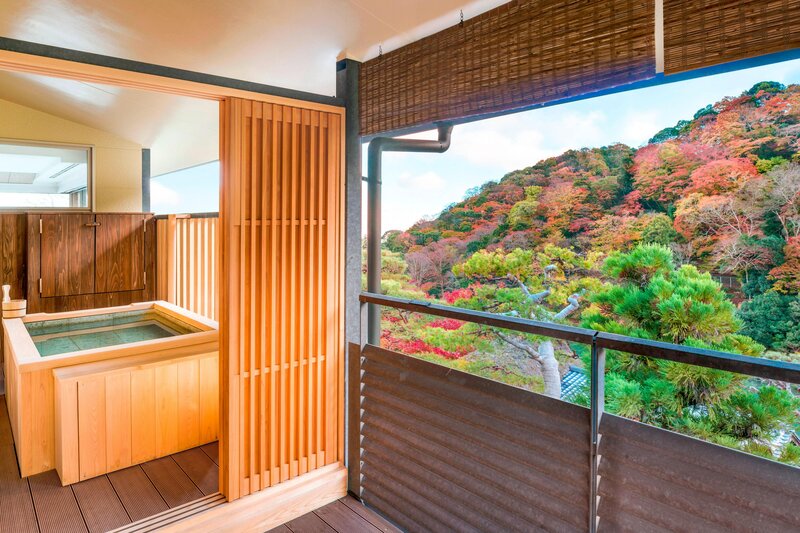 The room is equipped with private open-air bath which is providing magnificent view of Arashiyama. Our bed, designed exclusively for The Luxury Collection Hotels, turns every night into a time for enriching the soul with a lavish pillow top, modal yarn quilting, and cashmere fabric.